The fourth edition includes twenty-four new stories that provide contemporary sharing for newcomers seeking recovery from alcoholism in A.A. during the early years of the 21st century. Sixteen stories are retained from the third edition, including the "Pioneers of A.A." section, which helps the reader remain linked to A.A.'s historic roots, and shows how early members applied this simple but profound program that helps alcoholics get sober today. Approximately 21 million copies of the first three editions of "Alcoholics Anonymous" have been distributed. It is expected that the new fourth edition will play its part in passing on A.A.'s basic message of recovery. 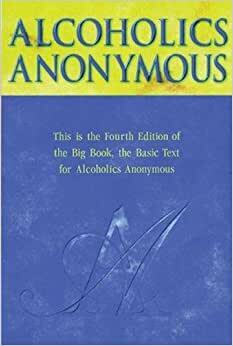 This fourth edition has been approved by the General Service Conference of Alcoholics Anonymous, in the hope that many more may be led toward recovery by reading its explanation of the A.A. program and its varied examples of personal experiences which demonstrate that the A.A. program works. 5.0 颗星，最多 5 颗星AA Big Book opposition is ridiculous! First, I would like to thank counselorchick, Kevin Johnson, bankee and any others who have obvious resentments towards AA. It is a program developed in the 1930’s and has been the most effective treatment for their members. It is a fellowship of men and women who have the same desire to stay sober. People who follow the program and commit to it eventually become happy, joyous and free. The program has evolved over time to what it is today. People who are cursed with this disease are NOT able to drink in moderation. I am not saying that I completely believe in the entire philosophy but most of it has merit. I think it is opalling and disgraceful for anyone to blame AA for hurting more people than they’ve helped! Are you f*****g kidding me? There is only one person to blame for the behaviors we exubed. Look in the mirror for the guilty party. The negativity in these posts truly proves how restless, irritable and discontent you are. I’m sure there are other programs that successfully help those with the disease of addiction. AA is not for everyone. It is also never AA’s fault when someone relapses. We are still there at every meeting, trying to help the next sick and suffering person. Your portrayal of the “program” is flawed and inaccurate to say the least. There have been 100’s of thousands of people who are now happy, joyous, free and living a life free of anger, depression, sadness and fear. 5.0 颗星，最多 5 颗星The book thats the true back bone of addiction recovery. Simpley put this book will save your life and inspire you to find a path free of addiction . The first half of the book is how it works in AA the second half is all inspirational stories that truely do inspire you to live a better free of addiction life. Often at first when I first considered I might have an addiction problem I read the stories in the back of the book . I found every story I read was about me in some way . After a few reads I knew it was time to confront my addiction issues . Becuse of this book I am now free of my alcohol addiction and starting to piece my life back together . Any time I feel weak or need a bit fo inspiration I open the book and read for a while .This book is the back bone to AA and 12 step programs it will sve your life if you are honest ans willing . Its said you must hit rock bottom before you can make the journey to recovery but maybe if you read this book you will find a way that you can avoid the horor of the rock bottom experience. Good luck to you may you find the peace and serenity you so deserve in life give this book a shot and you will find a new way of life . I'm not an alcoholic, but a good friend of mine suggested that I read this to gain a better understanding of "what she's all about." I'm truly glad I did. Not only did it deliver on her claim in spades, but it provided me with one hell of a perspective on everything she and so many others have dealt with, and just how vital a group like Alcoholics Anonymous is. I love reading things that provide me with that level of insight. I’ve been sober almost six months. Thank god for AA and other such programs. About this book- it explains everything. First half talks about how AA came to be and last half shares inspirational stories of other addicts and alcoholics who have worked the program and now lead sober lifestyles. Very helpful and motivating. For anyone out there struggling with addiction, even if you aren’t ready to seek help, read this book. You at least will know you aren’t alone. I'm so grateful for this book. My sweet daddy suffered from alcoholism and died unrecovered. Growing up in that, I had a lot of resentment and unresolved pain. This book showed me that my Dad was sick, and it helped me see that even though I do not drink- I was effected by alcoholism. Since I do not have this allergy/disease, I didn't understand it. It makes more sense to me now, and it has helped me on my healing journey. I cannot recommend this enough! I know you get audio chapters on Amazon (I believe it is the 1st Edition). I love the 4th edition. I believe it is worth buying even if you can hear it for free.